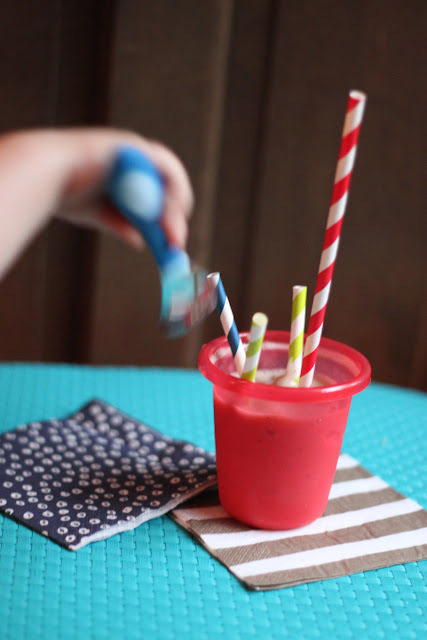 Today's recipe is like our Thirsty Thursday for the under 5 set. There is no booze, but I consider the banana frosty as much a classic kids drink as the Shirley Temple. 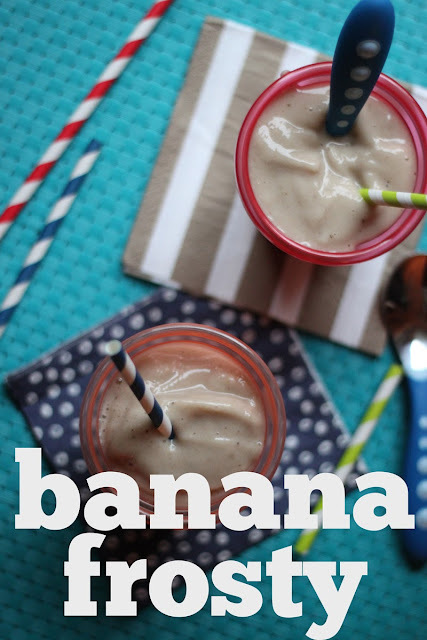 Maybe you know this banana smoothie by any other name: Banana Freeze, Faux Ice Cream, or as we call it in our house - 'Nana's Frosty. If you've ever wondered how I work a full-time job, have a toddler, run this blog, and some how still seem to enjoy taking on too. many. projects - here's my secret: Nana. Yup, my mother in-law literally lives across the street from us - she's our daughter's childcare while we work and she does a damn fine job. Her background is in early childhood development - so its the best childcare any parent could hope for. Also, she's about the most patient person I've ever met. 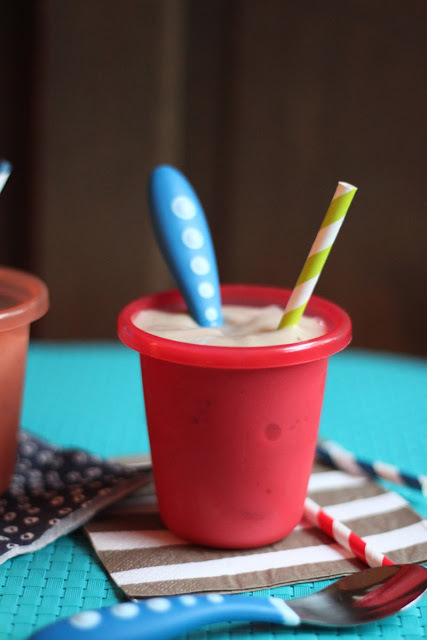 Nana introduced us to the banana freeze (as she calls it) this summer and while its nothing ground-breaking - it is quite clever, delicious, and easy! If you tend to buy too many bananas (as I do) and need to use them up - then this is a recipe for you. And its a fantastic beat the heat treat for kids! Combine ingredients in a blender until smooth. Enjoy immediately! *Take your over-ripe bananas, peel 'em and freeze solid on a baking sheet. Store in a ziptop bag until the craving for a frosty or banana bread strikes. I know you're eagerly awaiting that new grand-baby. Enjoy it! Haha - it won't be long until he can start cereal and then fruit too. 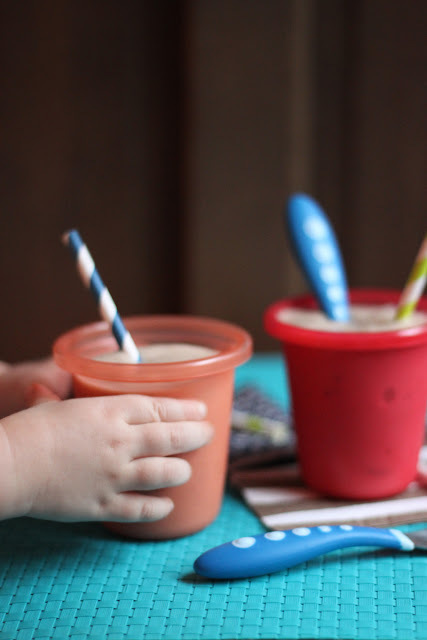 You can actually puree the bananas with a little water instead of the almond milk if you want to introduce him to this frosty treat.